A 54-year-old crossed into oncoming traffic, side-swiped two vehicles, and crashed head-on into a 2018 Ford Explorer, officials say. 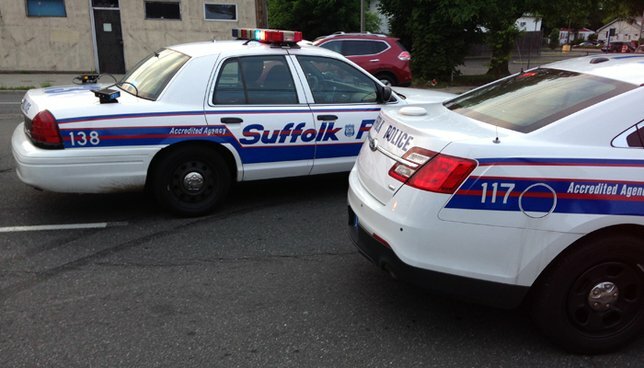 SCPD are investigating a fatal vehicle crash in Patchogue. Patchogue, NY - November 15, 2018 - Suffolk County Police Fifth Squad detectives are investigating a motor vehicle crash that killed a man in Patchogue on Wednesday, November 14. A 54-year-old man was driving a 2005 Cadillac southbound on North Ocean Avenue when the vehicle crossed into the northbound lane, struck the guardrail, side-swiped two other vehicles, and then crashed head-on into a 2018 Ford Explorer driven by Matthew Rwzuk. The impact forced the Explorer to crash into another vehicle. The 54-year-old man was transported to Long Island Community Hospital in East Patchogue where he was pronounced dead. His name is being withheld pending notification of next of kin. Rwzuk, 28, of Mount Sinai was transported to the same hospital for treatment of non-life-threatening injuries. All five vehicles involved in the incident were impounded for safety checks. Subject: LongIsland.com - Your Name sent you Article details of "Man Killed in Patchogue Head-On Crash, According to Authorities"